Hey, everyone! Just a quick update this time! The new trailer for Congleton Players’ adaptation of One Man, Two Guvnors is up at last! Check it out here! Also, tickets are available NOW from Congleton Tourist Information Centre and from the link below! See you all there for this amazing show! 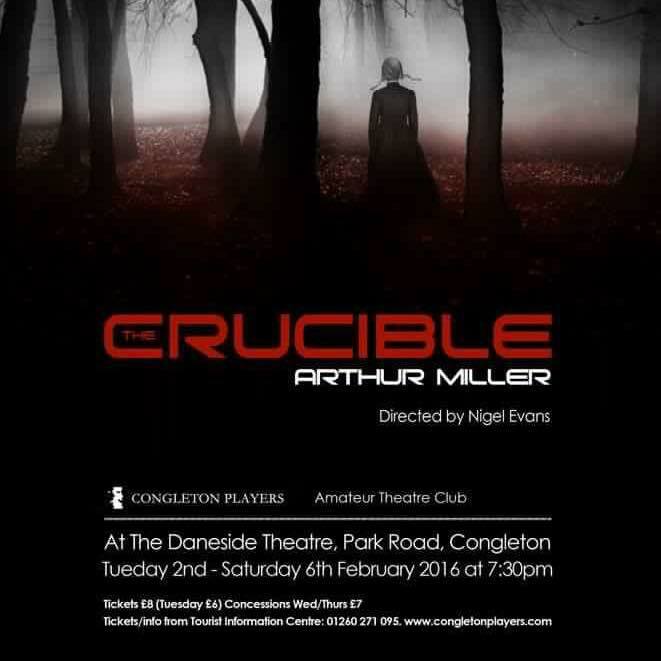 5th – 9th February 2019 at Daneside Theatre! There’s much news to deliver, such as the status of The Saviour and The Saviour & Hi-Jax rewrites. I CAN NOW OFFICIALLY CONFIRM…that the rewrite on BOTH BOOKS has finally been FINISHED! AT LAST!!! I am currently re-reading both novels to see how they flow, then I will be submitting for publishing next year with the intent of seeing them in print for 2019. I’m hoping to get there, obviously…but a major victory has nonetheless been achieved this year. Also, exciting news from the world of theatre. 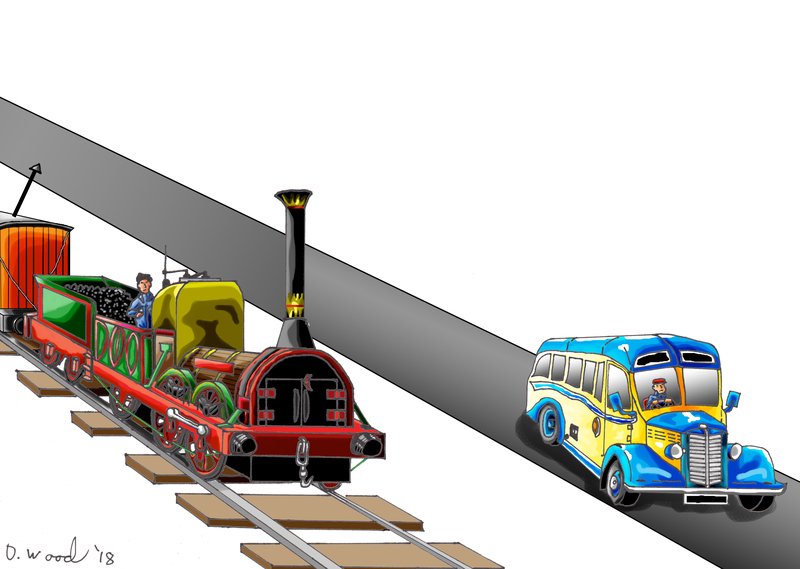 I would love to thank everyone who attended Congleton Players’ adaptation of The Titfield Thunderbolt back in October. It was another tremendous show to be part of and much love and thanks to all the cast & crew involved. I’ll be back again on stage at Daneside Theatre for the 5th-9th February. We’re doing the hit-show One Man, Two Guvnors! And tickets are available NOW! Check out www.congletonplayers.com for more details. 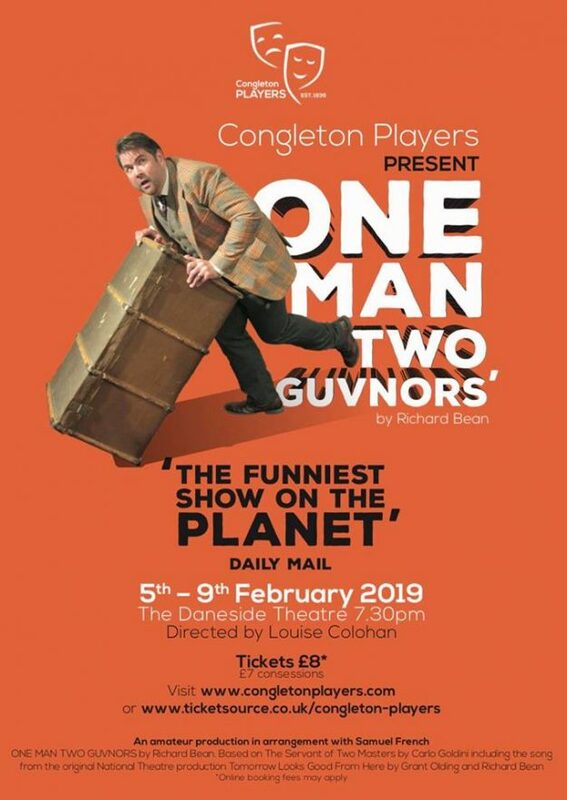 The Official Poster for Congleton Players’ adaptation of One Man, Two Guvnors’. Coming 5th-9th February 2019. Also, I am thrilled and honoured this year to have received the Geoffrey & Margaret Hoult Annual Award for Excellence for 2017/18. 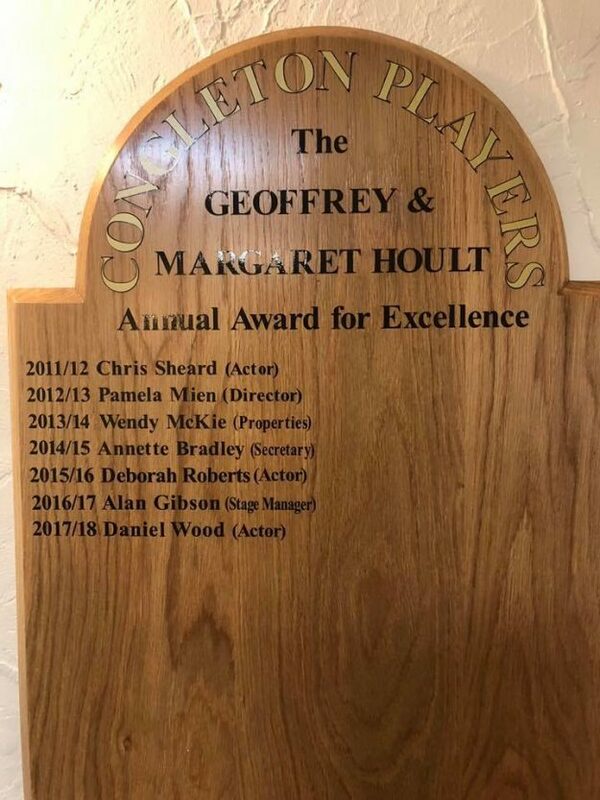 This is a prestigious honour that Congleton Players award to people every year, and the names on this board do so much to help produce quality shows for the people of Congleton every year, and I’m truly flattered to have my name immortalized on this board this year. As I am to receive more NODA nominations this year for Best Supporting Male for my roles in The Ghost Train and The Titfield Thunderbolt. I have absolutely loved my time with Congleton Players and am so thankful for all the new friends I’ve made and all these wonderful experiences. And finally, I was so pleased with the response I received this year for my poem ‘The Asperger’s Argument’ (which I wrote for Autism Awareness Month back in April) that I decided to turn it into a video for YouTube. Here’s the link and check it out. Of course, Christmas is just around the corner, and everybody will be hard at work getting ready for the big day. I’m no exception to the rule. So if I don’t update this website again before the year is over, I’d just like to thank you all for your support in what has been a very difficult 2018, and I wish you ALL a very Merry Christmas and a Happy 2019! 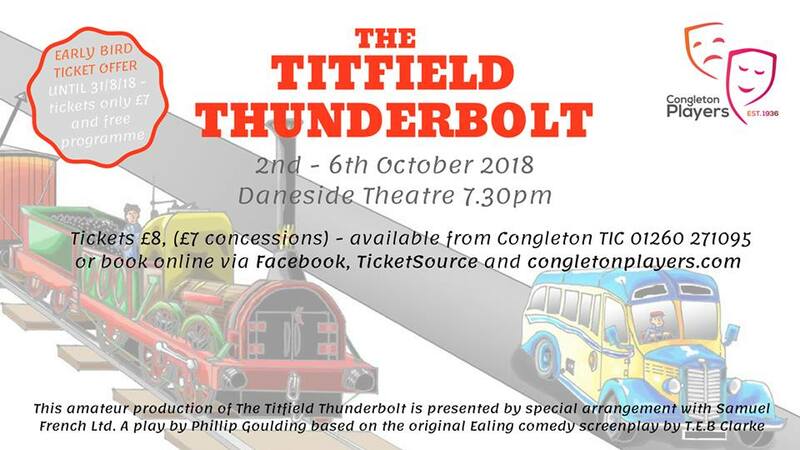 The latest news is that I’ll be back on stage at Daneside Theatre for Congleton Player’s adaptation of the classic 1953 film ‘The Titfield Thunderbolt. 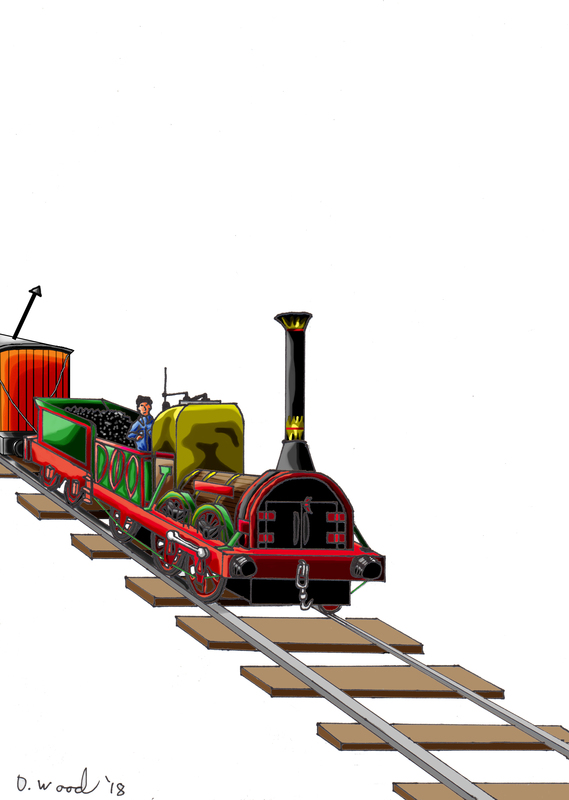 The Titfield Thunderbolt revolves around a group of villagers who rally together to save their local branch line from closure; volunteering to run it themselves. As they struggle to prove themselves competent in running the line, the volunteers must also face competition from notorious rivals and their bus service. Rehearsals for the stage-production of this classic film are proceeding very well. And as well as rehearsing my parts for the show in October, I’ve also been doing artwork for the promotional material. Get your tickets NOW! It promises to be a fun show that’s worthy of the original film. See you on 2nd-6th October 2018! Anything else? I’ve uploaded some more of My Artwork. Check it out, and know that more progress has been made on The Saviour’s rewrite. I’m on the last chapter now, and am so very nearly there! Then will come the read-through of both The Saviour and The Saviour & Hi-Jax, and hopefully getting the books published! Stay tuned! First and foremost, I am sorry for neglecting The Writings of Saviours with any proper updates. Due to work, rewriting The Saviour and The Saviour & Hi-Jax, joining the Congleton Players, numerous personal problems and health issues over the last few years, my own website has been forgotten about. For latest news and developments, check out my Official Facebook page (https://www.facebook.com/dcwoodauthor/). With regards to changes to this website, obsolete pages & links have been removed…and new things have been added. NEW ARTWORK (check out My Artwork). NEW POEMS (check out My Poems). NEW PAGE (check out The Theatre!). Artemis Publishing have sadly gone out of business, so copies of The Saviour are now somewhat limited. As I’ve said, I’m currently in the midst of rewriting the book and its sequel (The Saviour & Hi-Jax) and am NEARING COMPLETION. Once finished, I’m going to be searching for a new publisher/agent to try and get my writing back on track. Thank you all for your patience & continued support. It means everything to me. Much has been done…and there is still much to do! Feels weird saying that in February…hope you all had a great Christmas and all the best for 2016! Anyway, my apologies for the late update, but there has been so much going on in my life recently. Namely work, writing, drawing, Mystery Project ‘A’…and acting. First things first, my sincere thanks to everyone who supported me when Bear Spirit made the finals of the Parsec Awards for “Best Speculative Fiction Story: Small Cast (Novella & Long Form)”. Sadly, I didn’t triumph, but I will always be proud that my work made it THIS far and will forever have the distinction of being an official Parsec Awards finalist. Congratulations to Paul E Cooley on his victory with The Black: Arrival, and well done to all my fellow finalists and entrants in their respective categories. Check out The Black: Arrival at the link below! Also, throughout 2015 I was working on something called ‘Mystery Project A’ which I have long since revealed as My Top 10 Wrestling Shows. Being a wrestling fan, I wanted to share with others my thoughts and feelings on what major events best sum up the greatness of wrestling. Check it out here! And finally…progress is PICKING up on The Saviour & Hi-Jax! There are only SIX more chapters to complete! STAY TUNED! THE END IS WITHIN REACH! See you again soon with more news, poems and artwork! Bear Spirit reaches the Parsec Finals in 2015! Greetings, chums! Much has happened since my last update! 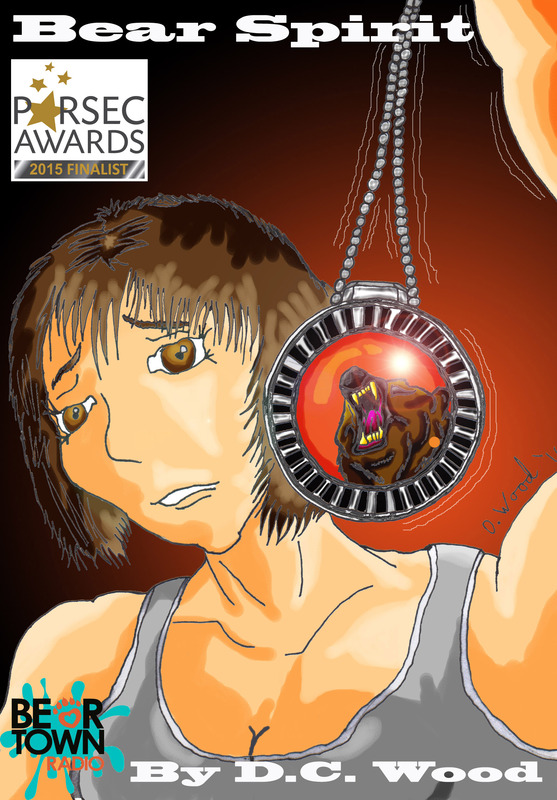 The biggest news is that my radio-serial/audiobook Bear Spirit…is OFFICIALLY a finalist in the 2015 Parsec Awards! This year’s Parsec Awards ceremony will take place at DragonCon in Atlanta, Georgia on Sunday 6th September. For more news and regular updates, visit my Official Facebook page. Also…I am over halfway through the rewrite of The Saviour & Hi-Jax. Despite failing to get it finished by June, I’m hopeful to get it sorted before 2015 is over. Stay tuned and see you soon!